I spent the afternoon and part of the early evening packing and then heading to Lost Nation Airport at Willoughby, Ohio for the Gathering of Eagles airshow. Team Tuskegee is flying the show with its three-ship TG-7A demo. No T-6G this time. It’s just the longwings. 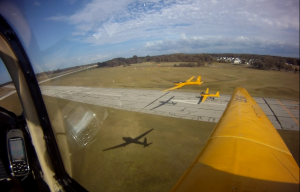 I remain without a FAST card and the team’s airshow routine is now all formation all of the time, so I’m here as a ferry pilot and as team narrator. I flew here, adding another couple of hours, more or less, of stationkeeping and keeping the formation skillset current. And I’ll fly media or liaison flights as needed. We’re quickly approaching the point where I think there’ll be a checkride opportunity so that I and the team’s long-suffering FNG (whom I don’t pre-date by much) can get our wingman cards and expand the number of show-capable personnel (and – for that matter – the number of FAST-card-holding glider drivers in the world) to five. The demo is really shaping up. I handed over the controls to John over the Pointes for a run-through before heading to Willoughby and got to see the demo again from the No. 3 ship. I’ve also flown 2 in three separate demos at higher altitudes for River Days. So I’m doing everything I can to be show ready. Probably just in time for the show season to end, but you never know. And next year isn’t that far off. And it’s worth getting the formal formation qualification. We do so much more in the box in formation and it looks so much more compelling that the old demo. And the leapfrog landing (in which lead lands first, followed by 2 and 3, each landing over the preceding aircraft) is really compelling. It looks like snakes mating. But it’s utterly structured and we’ve gone to great lengths in the briefs and in practice to make it safe. If you’ll be near Willoughby this weekend, get out to the airshow. I’ll be wantering the grounds and getting on the mic and I’ll hope to see you there! 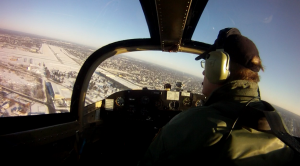 Since going for a fateful haircut in Detroit last March, I have amassed something like 112 hours in the TG-7A, about 70 hours of that in formation. 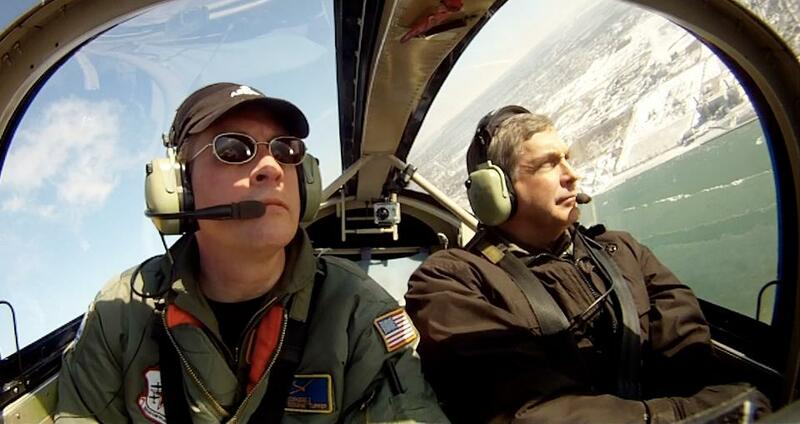 I’ve flown three airshow demos as the sole pilot of one of a team of two or four aircraft. I’ve flown as observer in one show. It’s not routine. It’s never going to be truly routine. But, having flown demos of one kind or another in practice or for airshow crowds, I have a level of comfort with a great deal of the process. I’m a little more relaxed. I can widen my focus a little because I have most of the core stuff under control. I’m one of four or five guys who do this so regularly that we’re beginning to anticipate each other’s moves. But then Lindsay Shipps showed up in town. Her parents live in Ann Arbor and it turned out that she could get to KDET early enough on Saturday to get up for an orientation flight in the mighty Terrazzo Falcon. 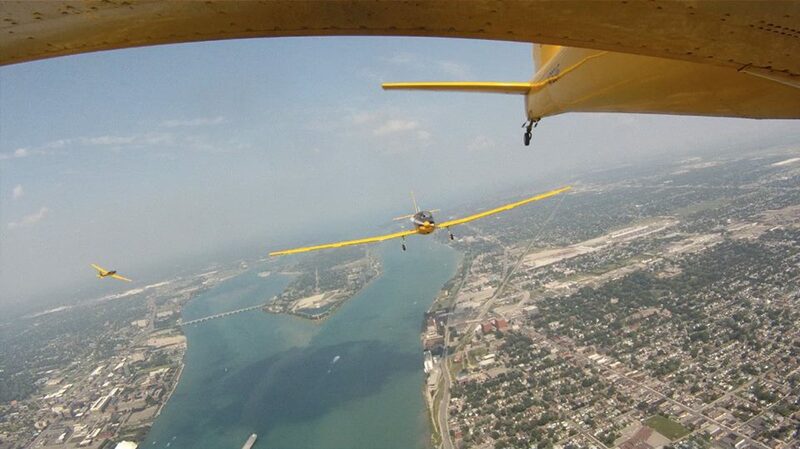 The team was flying demos over the Detroit riverfront for the River Days celebration. I had flown 2 on Friday and was slated to fly the same position both Saturday and Sunday. I scheduled the bird so that I could fly Lindsay prior the show time to fly the demo. Lindsay showed up and we preflighted and launched. She flew a good chunk of the ride out to Belle Isle, up the coast along the Pointes, then back down around to Belle Isle. The TG-7A doesn’t do much that’s dramatic, but it will fly a mildly satisfying parabola. 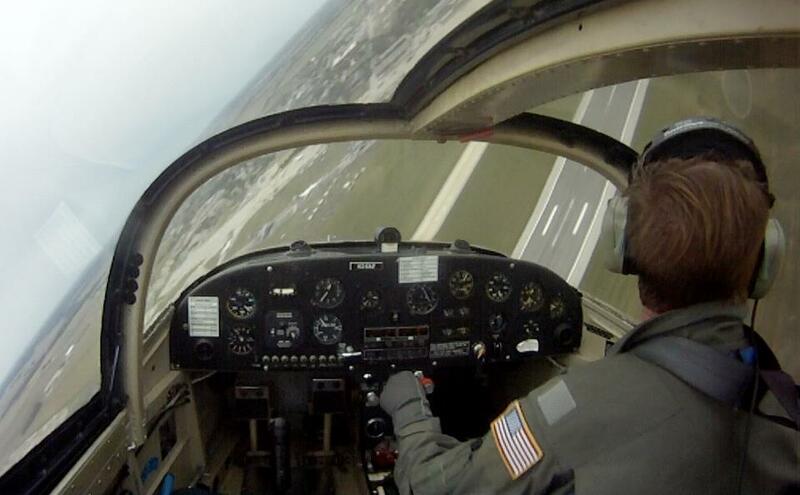 Push for about 110 mph, pull up and set the nose high, then push over the top to achieve zero G for about two seconds. If you’re not used to maneuvers like that, it feels really strange. 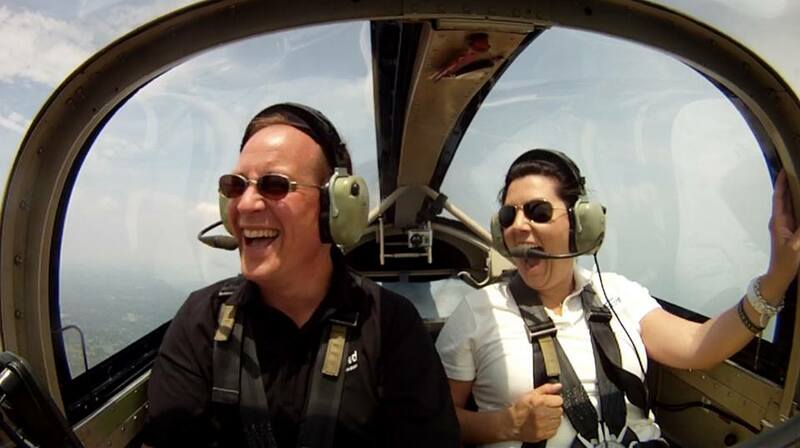 And it’s cool even if you’re an acro pilot. I’ll hand it to Lindsay. She was not entirely comfortable with the ride, but agreed to the parabola and ended up loving it. And the next one, too. And, perhaps more dramatic, Lindsay let me demonstrate a 180 abort back to the runway. 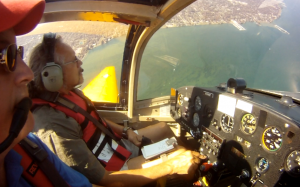 I hadn’t performed one for a while, so I simply did it from 400 feet instead of 350, pushed for 85 mph instead of 80 mph, and did the initial climb from a touch-and-go instead of a dead stop, the better to climb higher sooner. It’s still dramatic-looking if you’ve never seen one and you don’t get extra credit for doing stuff any lower or slower with a first-timer aboard. To paraphrase Ralph Royce, they’re amazed that you can return to the runway at all. Doing it from 50 feet lower isn’t going to impress ‘em any more. We landed, did the paperwork, gassed up the aircraft, and greeted the rest of the team as they arrived. Linsday stayed around and shot pictures of the brief. Then it was time to step. I have to confess that I felt like I was abruptly abandoning my guest, but she’s pretty comfortable on any airport ramp and I’m sure that she understood that I had to go fly the demo. A couple of text messages later in the day confirmed that all was cool. It wasn’t until I got some of Lindsay’s pictures this morning that the coolest part of the experience came home for me. The picture in question was this one. Click on the picture for the full-sized version. I had just lined up next to lead and 3 was rolling up behind us. The T-6 was preparing to roll into place behind 3. 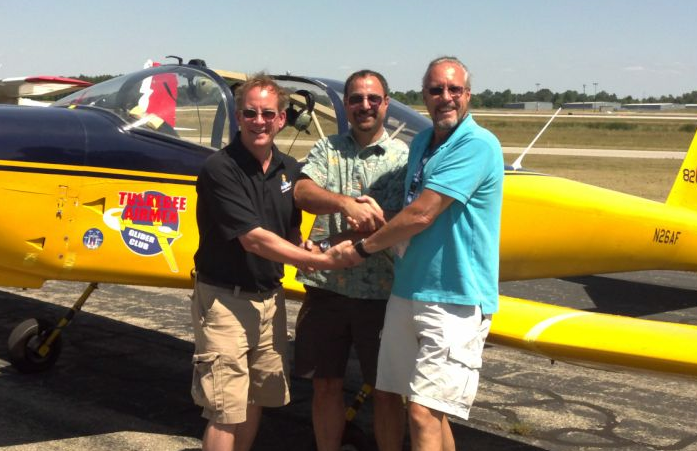 Four guys in four aircraft, all poised to go about the business of flying in front of thousands of people. And I was one of them. 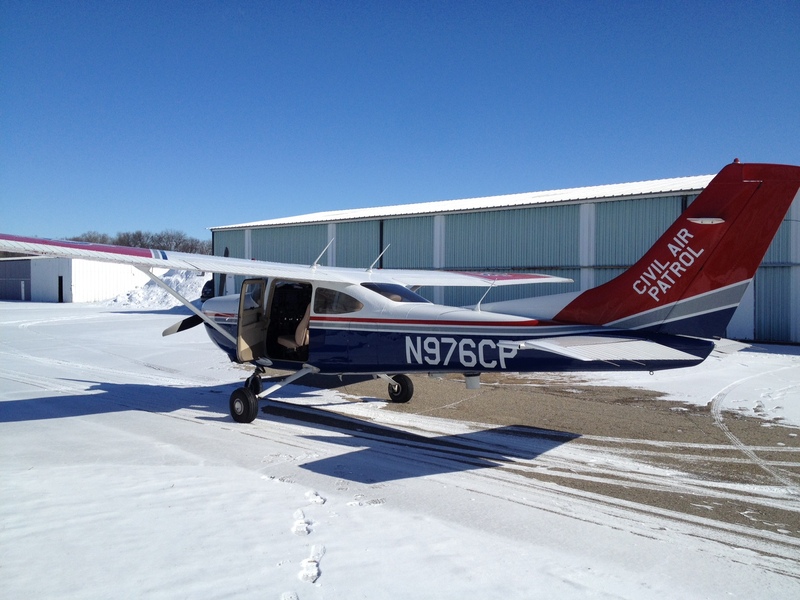 I remember flying my favorite C-152, N94891, to Hillsdale (KJYM) from Willow Run (KYIP) in 2001 on my first solo cross-country. I met my college buddy Jim Angus there for some coffee. Jim helped me park the aircraft when I arrived and he got to see me climb into it and take off when we returned to the airport from breakfast. 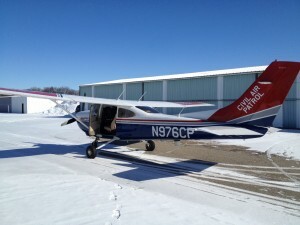 My flying became more real at that point because one of my friends from outside the aviation community had seen me do it. 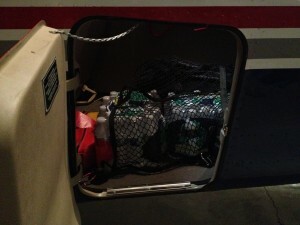 Before, aviation had been something that I practiced in isolation with acquaintances whom I only knew through aviation. 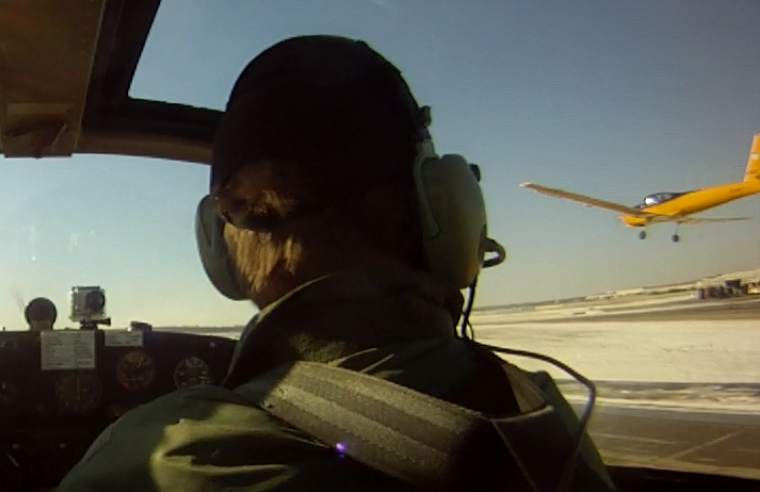 Now that Jim had actually seen me fly an airplane by myself, by flying somehow had an anchor point in my “real” life. I know Linsday from the aviation world. But it’s mostly as fellow media people and more as enthusiasts than operators. We’ve flown together on Fat Albert Airlines. We’ve crewed for an A-4. 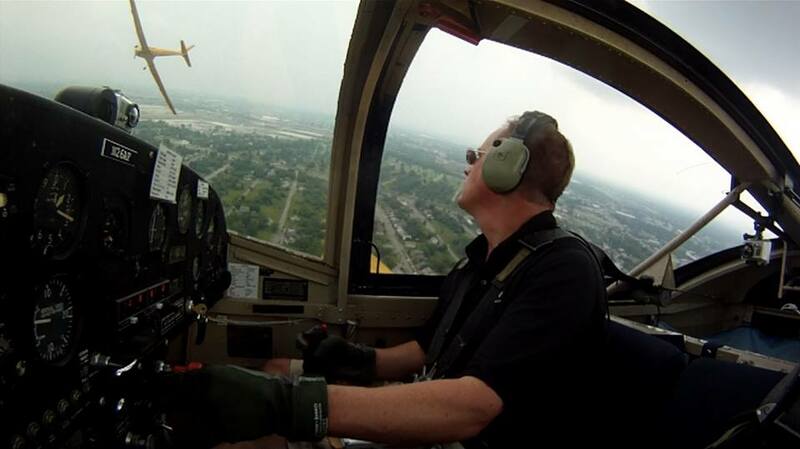 But neither she nor any of my non-airshow acquaintances had seen me fly in airshow mode. I’m continuing to write whenever I can. I have three episodes all coming along in parallel to try to tell you this story in more detail. From standing around on the ramp to pyro guy to narrator to performer. I still sometimes have a hard time believing it myself, so I have to get the words just right to show you how magical this whole thing has been. It’ll be worth the wait. That much I know.